We, Intracin Pharmaceuticals Private Limited, incorporated our operations in the year 1977, as one of the WHO-GMP Accredited manufacturers, exporters, wholesalers and traders of an extensive assortment of Veterinary and Human Injections. 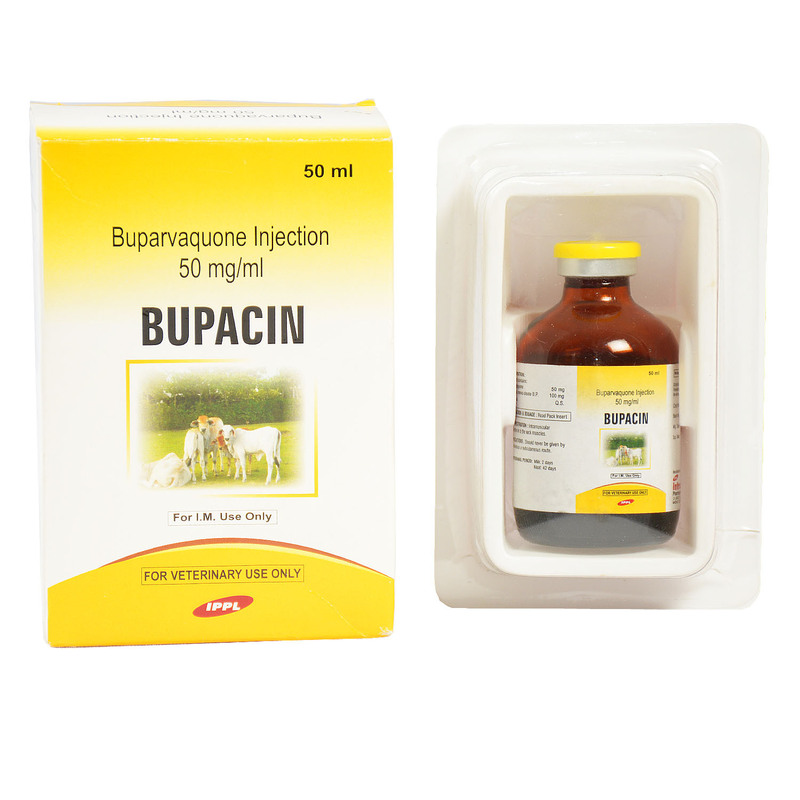 Our product range consists of Veterinary Injections and Human Injections. From the very beginning, we have been focused on providing supreme quality to our esteemed patrons and to make sure of the same, we use quality grade constituents that are obtained from our valuable customers. Our products are processed in accordance with GMP & GLP standards and we are approved by NAFDAC - Nigeria, NDA - Uganda, Kenya, UAE,Kuwait,Uzbekistan,Jordan,Sudan,Tanzania and South Korea. Our clients believe in our capabilities and rely upon us for the completion of their varied requirements. At our company, we have set up a world-class workspace that consists of numerous kinds of machines and equipment that are necessary for the obstruction-free production & storage of the proffered batch of injections. We are a company that is engaged in proffering the best quality possible and it is because of the undivided dedication of our professionals that we have garnered a vast number of customers in the market. We take special care while processing the injections and have a strong quality management system that provides us with accuracy and speedy operation in checking products, at all stages during manufacturing. We are enjoying an unbeatable position under the mentorship of Mr. Brijesh Desai. His consistent motivation and huge industry experience & knowledge have helped us in putting in our best efforts in aiming for our organizational goals with greater efficiency. 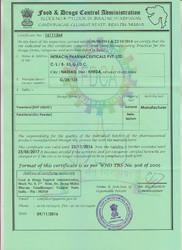 We are proud to tell ourself as a WHO-GMP Accredited Company. 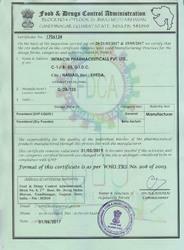 Our Company is approved by NDA-Uganda, NAFDAC-Nigeria, UAE, Jordan and Sri lanka. Our name has been famous in the industry from the past few decades. Our sincere dedication and magnificent industry experience has garnered a long list of precious customers in the past as well. Our injections are widely applauded for their accurate composition, longer shelf life and high effectiveness. We are the preferred choice in the market and we wish to remain the same in the upcoming years as well. We are a reputed WHO-GMP accredited certified company. Our company is approved by UAE, Jordan, Uganda and Nafdac. All our products are processed in compliance with the predefined GMP and GLP guidelines. Moreover, we make use of optimum quality constituents that are procured from our dependable and trustworthy vendors of long-term. To maintain the quality, we have established an efficient quality management system that assists in the speedy checking of products. Furthermore, we provide tamper proof packaging of the proffered range. Infrastructure plays an important role in the success of an organization and completing the diversified requirements of the customers. At our end, are backed by a world-class infrastructure that is equipped with several machines and tools that are based on the modern & advance technologies in the market. Our workspace is managed by team members who upgrade the systems from time-to-time. To conduct hassle-free operation, we have classified our workspace in many units. We are a renowned name in the business and this has been possible, owing to our outstanding team. Our professionals are hired on the grounds on educational qualification, years of industry experience and technical knowledge. Proficient in their respective fields, our staff members also undergo multiple training sessions so as to enhance the knowledge level. Our team is well-trained to understand and cater to the varied requirements, within the promised time period.